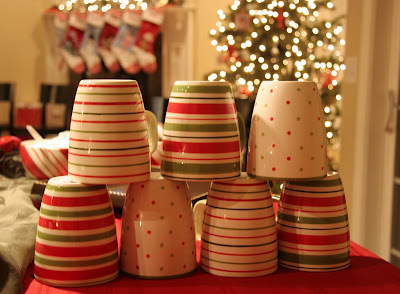 I know you're all dying to see pictures of our annual girls' night cocoa party! Here is the darling invitation we handed out. Can you tell what our theme is this year? 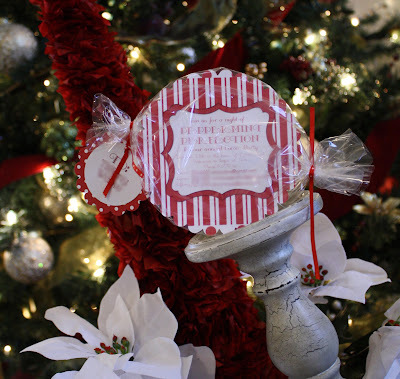 Tiffany created & printed the invite and we assembled them with yummy candy included. I'm so excited for the party and it's always so much fun hosting with my awesome friends! *post edit: If you want to see pictures from this year, click here. EEEEKK!! I'm so excited to put it all together, can't believe the time has gone by so fast. So fun! Might have to start something like that here.